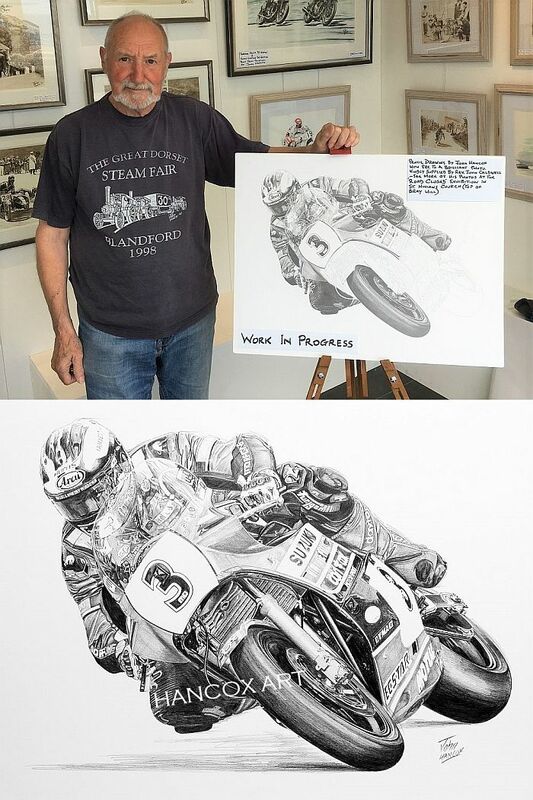 If you visited John’s TT 2018 art exhibition at the Sayle Gallery, you may have noticed a ‘work in progress’ pencil sketch of Michael Dunlop on the Team Classic Suzuki XR69. It’s now a finished drawing and we hope you like it! A big thank you to John Coldwell for taking and allowing John to use the superb photograph that this drawing is referenced from.